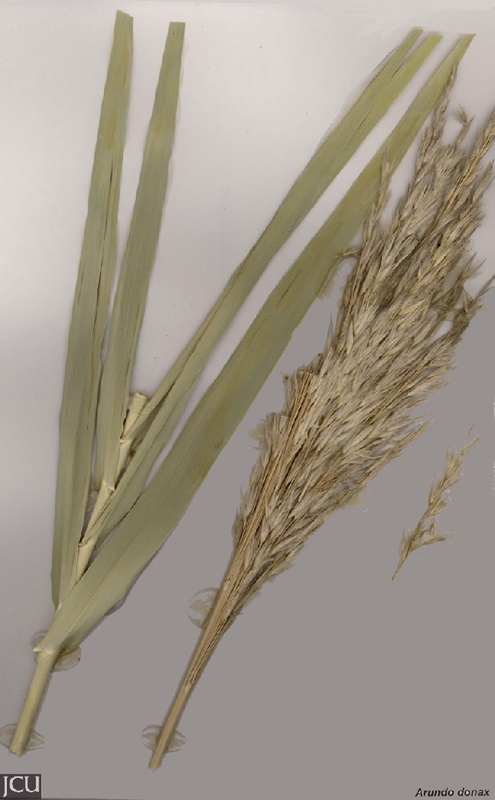 This “bamboo-like” grass grows from suckers. Leaves arise in 2 rows along the stem. 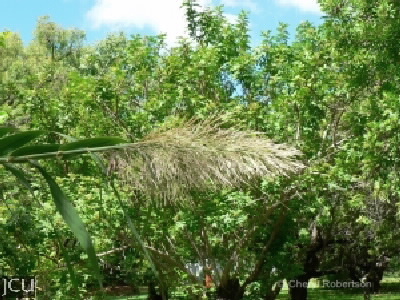 Inflorescence is a dense fluffy panicle 30-60 cm long.